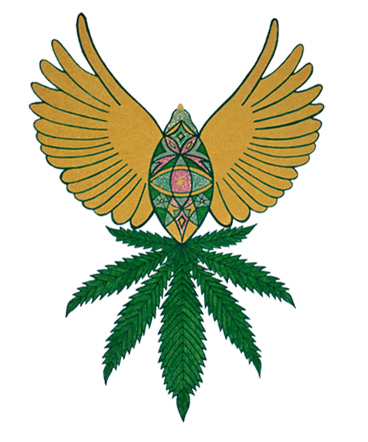 An evening of poetry, music and art, visual and edible, in honour and gratitude to the Holy Tree of Life, Cannabis. 7pm doors open to Love, Hearts and Minds. Feel free to sample edible Hemp delights shared freely with Love. 7:30pm Showtime. Feel free to laugh, cry and sing along with ‘Geraint the Bard’ (a.k.a Free Love Cannabis), and fellow Bards Lisa and Roxy. 8.30pm Musical interval. Time for Hemp snacks and chats. 8.45pm: The Adult Set. The second part of tonight’s show is definitely of ‘adult content’, for broad minded free thinking adults who enjoy a good laugh with those who push the boundaries of poetry. Breaking Free of tyranny. Liberated souls walk Free. Free of fear, Free of doubt. Trust and know that I am that, I am. Come hear the words of Liberation. Sing along and join the magic, for the Power is in the Word. We are Free, we are Free, we are Free to grow the Tree. Babylon has fallen. Cannabis is Free! The Children of Gaia have awakened, and we are Free! *PLEASE NOTE THAT THIS EVENING WILL TAKE PLACE IN THE SMALLER ROOM OF THE TOWN HALL.